For the first time in my mock draft career, I decided to do a mock NFL Draft using draft pick trades. Let me tell you, it was incredibly fun! 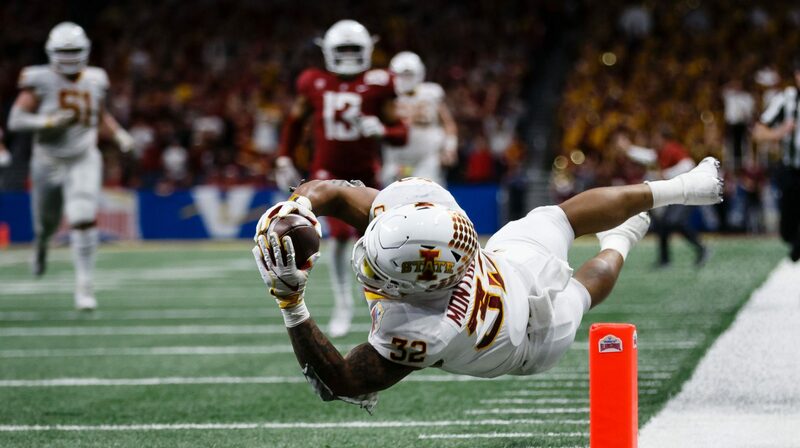 In addition to doing a full two round mock, I included some “best of the rest” players that I expect to outperform their late round draft stock. Over the next two weeks, you’ll see the full mock broken into four parts, released in reverse order. At the end of this post I have included a number of important notes that you may want to read before diving in. To view the other parts of my mock draft click here as we get closer to the NFL Draft. The following list of players are mid- to late-rounders who I researched in the last year and think could achieve a good return on investment for their NFL team. The reasons for their value vary, from size to injury to character, but I wager they’ll beat their draft spot. It’s inevitable that the Patriots take another Day Two passer to sit behind Tom Brady. They would look for a pocket passer and I think Finley would appeal to them for his size and potential to be molded into a future asset should Brady stick around. 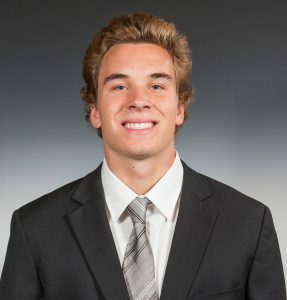 Finley isn’t my next highest ranked quarterback, that that would be Brett Rypien, but I think Finley is the one who would most appeal to the Patriots. The Chiefs have a big need at corner after having the second worst passing defense in 2018. Steven Nelson left in free agency and their two highest paid returners, Kendall Fuller and Bashaud Breeland, are free agents next offseason. Layne has rare length for the position and would be a welcome addition for Chief fans. After trading up to take DE Marcus Davenport last season, the Saints may be interested in trading back a few spots to pick up an extra pick or two. Even though they should be following the same tack, I couldn’t resist having the Jets jump up from 3.04 and grab Arcega-Whiteside. Arcega-Whiteside would be a nice complement to the newly signed slot Jamison Crowder and a healthy Quincy Enunwa. Robby Anderson is still on the roster but is only signed through this year. Running back went from a strength to a weakness in a blink last season for the Chiefs. Kareem Hunt and Spencer Ware are gone and Carlos Hyde is in (but does anybody care?). In an effort to make the Chiefs depth chart even more confusing, I have them drafting Darrell Henderson to go with Damien Williams and Darel Williams. Henderson is undersized but had incredible per-touch production in college. The Chargers were a hard team for me to identify draft needs for. I had them address the offensive line in the first round, so do they take another bite at the apple? Maybe not but McGary went in the first round of two mocks I saw so getting him this late would be a steal. They could also look for a DT but I didn’t see the value in that position at this pick. The Colts have an extra second from their deal with the Jets last year and I think they should use it to add depth at corner for the same reason I had the Titans take Byron Murphy: the AFC South passing offenses look to be stronger this season. Despite being a shade short, Love has great ball skills; he had the most passes defended over the last two seasons in the FBS (36). The Cowboys were quiet during free agency. Their defensive line hasn’t been very quiet though. David Irving retired in stunning fashion while Randy Gregory is suspended yet again. They did manage to resign Demarcus Lawrence after tagging him but that doesn’t negate the need for an edge rusher opposite him. Winovich is a relentless pass rusher and will add 4.59 speed to an already fast defense. LT Jason Peters is 37 and his contract ends this season. He played a full slate in 2018 but that was only the fifth time in his fifteen year career that he played the full season. Cajuste is a bit light to be a starting LT but he was the strongest lineman at the combine by far (32 reps vs 28 for the next best). 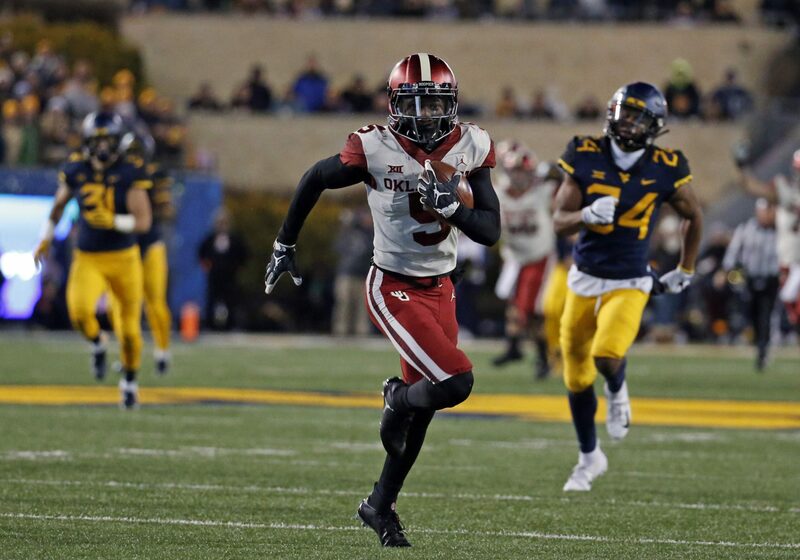 If any team would appreciate Harmon’s nuanced route running, it would be New England. He tested poorly at the combine but I don’t think that will cause him to fall too far. In addition to protecting Watson, the Texans should also add a running back to help alleviate some playmaking pressure. Lamar Miller has largely been a disappointment in Houston and he’s gone after 2019. I predict that Miller won’t even make it through training camp on the roster because he has just $1mil in dead cap if the team were to release him today. Harris is well-rounded enough to be a competent starter for the rest of Watson’s rookie contract window. The Texans just signed LT Matt Kalil but, if anything, that just proves that they need to address the position early in the draft. They gave up a league-leading 62 sacks in 2018 so go ahead and pick your preferred offensive linemen here, depending on whether you went T or G in the first round. Montgomery is my pick for the best back in the draft so I think this is good value. The Eagles just traded for Jordan Howard but the team would lose nothing (aside from that conditional 2020 6th round pick) if they cut him at any point this offseason. It turned out to be a shrewd contingency plan in case they miss out on one of the backs at the top of the draft. If you live under a rock you may have missed that the Steelers traded receiver extraordinaire Antonio Brown this offseason. Brown was great in space with the ball and was effective from the slot. 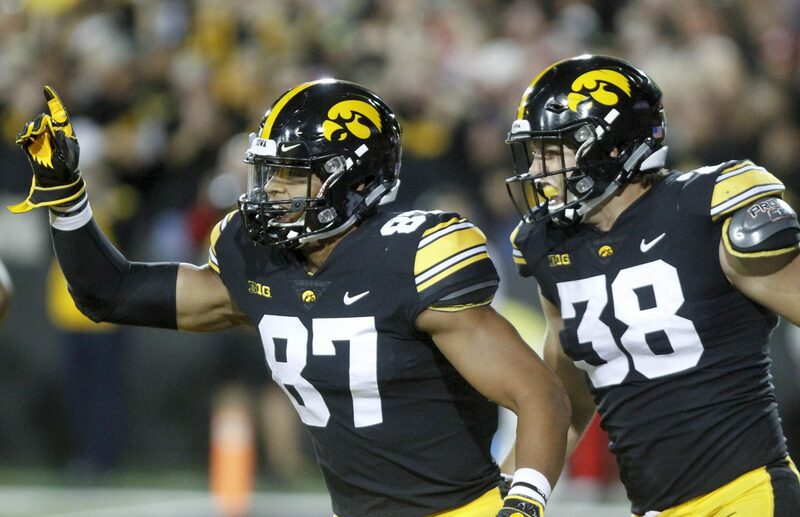 Deebo could grow into that role and play off young incumbents Juju Smith-Schuster and James Washington. The Titans signed another possession receiver this offseason, Adam Humphries, to pair with former first rounder Corey Davis. Adding Campbell to the mix would give QB Marcus Mariota some much-needed speed to work with. I struggled with a draft strategy for the Vikings so I decided to have them add depth to the front seven with both first round picks. (They can address the OL with multiple mid-round picks.) Allen has earned a reputation as a high energy player and would rotate in at DE and at DT alongside Linval Joseph. This was my only pick for the Browns in this mock draft. After hitting on CB Denzel Ward last year, I think the Browns should go back to the well and see if they can land another instant starter. They made a number of flashy moves this offseason with OBJ, Olivier Vernon, Sheldon Richardson and Morgan Burnett so this would be a smart, yet unsexy pick. The full mock draft was written between April 4-10. Any moves or news released after that point would not be taken into account. To help me track my mock draft, I used a very useful tool I found on Reddit called RST’s 2019 Draft Tracker. This spreadsheet lets you easily trade draft picks and uses a pick value chart so you can try and keep trades fair. All of the trades except for Washington/Arizona were pick for pick and I required that the team moving up offer more value than the value chart suggested was fair. Since the trades all included late picks not covered in this mock I didn’t bother noting each individual trade. Instead, I described my general thinking for the trade. For each pick, I tried to put myself in the shoes of the GM. If given the chance, I would not necessarily make all of the same picks as I value some players and positions differently. Keep in mind that my predicted draft order does not necessarily correspond to my personal positional rankings. I could not have put together the roster and contract notes without the help of two invaluable sites: Our Lads and Spotrac. 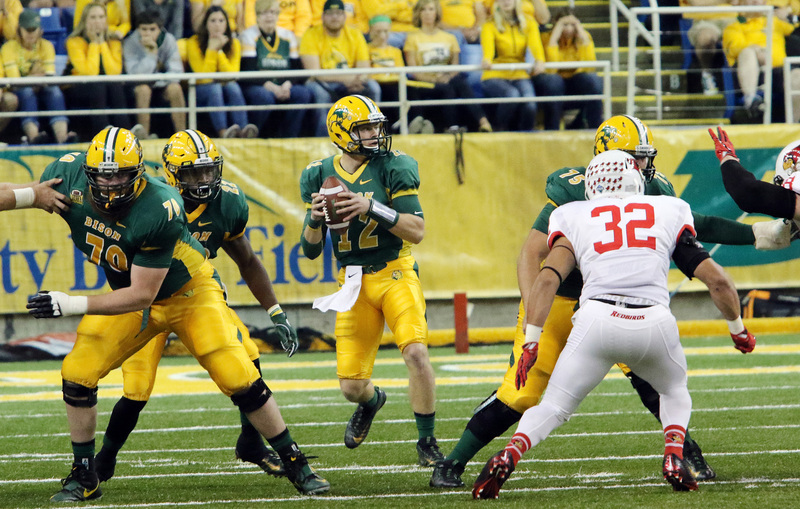 Today’s previews will feature four FCS players who may be flying under your radar. All four were featured in my 2018 FCS preview so if you’d like to read more about them, please check out that piece as well. Without further ado, let’s get to it. Stick has gained some publicity lately, possibly because of superficial comparisons to former Bison standout Carson Wentz. The opinions of draft analysts I follow are all over the map on Stick so I knew it was inevitable that he would require some study. As far as measureables and statistics go, Stick is just able to check each box. He doesn’t posses top tier arm strength, size or speed but he’s good enough all-around for NFL consideration. My biggest takeaway from my initial introduction to Stick was his accuracy and ball placement. That was similarly illustrated in the new film I watched against Delaware (a middling Colonial foe). Stick shows an ability to place the ball with accuracy and anticipation. This touchdown toss is instructive when you watch it from the broadcast angle and then on replay. On the reverse angle, you can see that the running back was Stick’s second read. More impressive, you can see that he releases the ball to the inside of the defender while his target is to the outside and not looking for the ball. It caught my eye as a good example of throwing a receiver open. A later throw in the Delaware bout showed that Stick can throw it with accuracy deeper down the field as well. On this play he has great protection and has forever to throw as he surveys the field. He finds a receiver 35 yards down the opposite sideline and drops the ball in with a great trajectory over the defender and before the on-rushing safety. In my opinion, Stick’s rushing totals belie his rushing ability. He has decent speed and runs with determination but he’s certainly not fast or agile. The successful rushes against Delaware were fine but I doubt that will be a part of his game at the next level. One thing that will help him at that next level is the fact that he took snaps from under center in college. He looks awkward under center, like he’s crouching too low, but having a head start on timing the last step of his drop will be helpful. As far as his pocket presence is concerned, I felt that Stick was too eager to leave the pocket, specifically to his right. NFL defenders will be much less likely to lose contain and will be able to chase him down from behind before he gets the corner. When he did throw while on the run, he showed me average or better accuracy. As shown above, Stick does have enough arm to make cross-field throws but he will grade behind others in that aspect. Interestingly for somebody with his strengths, I think he lacked touch on screens and short passes. Doss followed up a stellar 2017 season with an equally productive 2018 campaign. 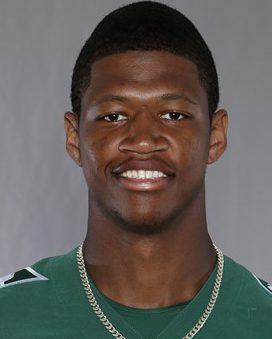 He finished in the top five in the FCS in both receptions per game and receiving yards, earning him second team FCS All-American honors by the Associated Press. When I first previewed Doss, there was no film available besides highlight reels. Thankfully, his tape against eventual finalist Eastern Washington is now up. Once I realized this I wanted to dive right in. Let’s start with the negatives for a change. I did not see much separation, straight line speed or run after catch from Doss. Part of that may be on the quarterback throwing with poor placement or anticipation but it appeared, at least partially, on Doss. (It’s also a small sample size.) He was inconsistent with using his hands to snag the ball away from his body and his timing was off on some jumps. This was visible on the play below where Doss needs to make a last second adjustment to make the catch after an awkward leap. I give him credit for ultimately making the catch but he made it harder on himself than somebody of his size needs to. I felt like I was nitpicking Doss’s jumping but literally the first play of the 2018 highlight reel I chose showed the same poorly timed leap. The angle isn’t great, but you can again see that Doss must adjust to the ball while he’s already in the air. He makes the catch but he should more easily win these targets. Now onto the positives. Doss has a big frame that honestly looks bigger than the listed 6030/209. While that size does not appear to translate to victories in the air, Doss shows that he can use his body to shield defenders from the ball. In the Eastern Washington game he came across the middle of the field a number of times, including this play that resulted in a first down. He snatches the ball in the air and brings it into his body with two hands, bracing for the impact of the defender and the ground. You’ll notice that Doss was lined up in the slot on the above play. I saw a number of different deployments from him, including coming in motion and taking a jet sweep handoff. Since I question Doss’s ability to win in the air as an X receiver, being able to succeed from the slot may presage his NFL usage. If he does play between the numbers, his awareness to find the soft spot of the zone, as he shows below, will be key. Unfortunately, Butler’s promise has been partially derailed by injury. In 2017 he missed most of the season (2 games, 6 receptions) with a shoulder injury that required surgery. In 2018, he missed time as well after taking a big hit to his midsection. Since he’s missed time recently and had a disappointing 2018 season, there’s not much hype (or film) for Butler. Nevertheless, I think fans should keep an eye on Butler because I think he’ll pop-up come training camp. You can also see how strong his hands are on this play. He has less than ideal hand placement but he’s able to hold onto the ball despite the defender’s arm getting in between. You can also see that Butler comes down out of bounds which I noticed more than once, so he may not have the body control and spatial awareness of other elite above-the-rim receivers. My favorite highlight of Butler’s actually came on an interception (and is one I pointed out back in the preseason). The ball is intercepted with Butler fighting for the ball. The DB gets up and returns the interception. Butler hurries to his feet, fights off a block and runs down the streaking defender, saving a likely touchdown. One of the best hustle plays I’ve ever seen. I wanted to check-in with some post-injury 2018 film but struggled to find relevant highlights. The reels I found weren’t dated so I’m not sure which games are featured. 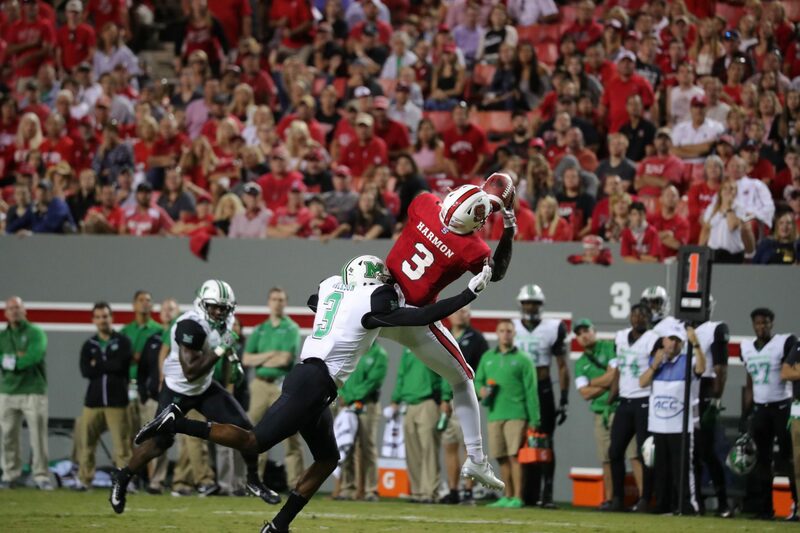 What I saw though validated some of my prior observations, namely that Butler is an acrobatic receiver who can make fantastic catches. Without further film study it’s hard to gauge Butler’s route running and blocking ability. From the little I’ve seen, I think he may be below average in both respects. My dude. I came across Parham in May 2018 while doing some deep sleeper research. I first profiled him in my 2018 FCS preview and then followed up with an interview, because I just had to learn more. I thought Parham’s line from 2017, 58/817/1 was impressive, and was blown away when I saw his 2018 numbers. I really did not expect his production to jump as high as it did (85/1,319/13) but Parham ended up being an first team FCS All-American. Unfortunately there’s no new film on Parham (thankfully he’ll be at the Senior Bowl) so I’ll have to settle for sharing two highlights I previously shared with my readers. In the first, you’ll see just how valuable his extra inches are. 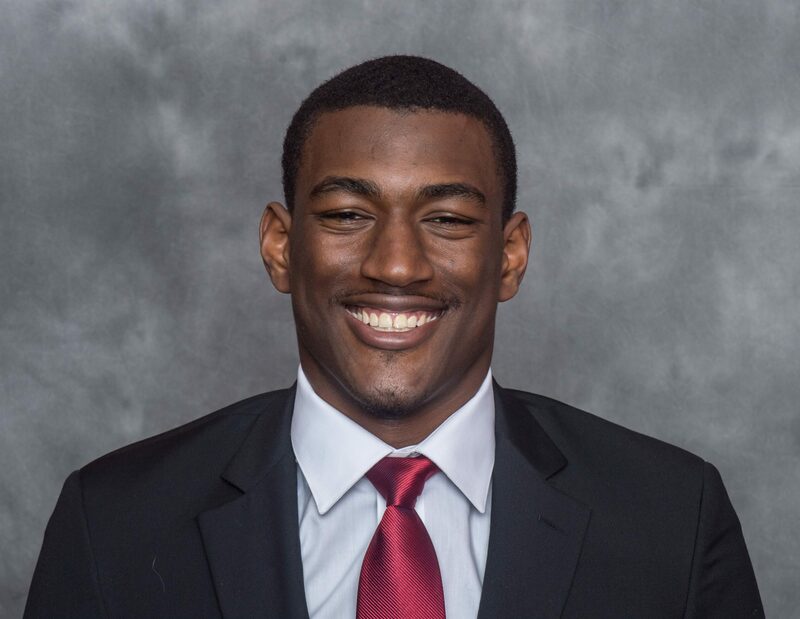 In the second, you’ll see what Parham told me was his most memorable football moment, a diving catch against Sacred Heart. Q: What’s the most memorable football game you ever played? Why does that one stick out? A: My sophomore year I had a diving catch against Sacred Heart, I think for a touchdown. It stuck out because it kind of set the tone for my level of play for the rest of my career. Q: When you were growing up whose posters were on your wall? Q: If you could play one other position in college, offense or defense, what would it be? Why? A: Defensive end, everyone tells me that I have the stature to be a great one, just if I had a few more pounds on me. Q: Do you have a player or team you particularly enjoy playing against? Maybe it’s a former teammate or a hated rival? A: Jacksonville is probably the one to say because its always an intense game and I enjoy the energy. Q: What’s your favorite play that you’re always hoping gets called? Why is that your favorite? Q: Do you have any specific personal goals for the 2018 season? A: 10 touchdowns at least, and 100 [yards] per game. Q: Is there a current NFL player that you model your game after? A: Gronk, he plays with a lot of energy and is just overall fun to watch, and he just makes it look easy. Q: If fans want to follow you on social media, where can they find you? A: IG and Twitter :@jiggydd_49. Check back throughout the offseason as we showcase more 2019 NFL Draft Prospects. If there is somebody you would like to see us feature, please reach out to me on Twitter @robertfcowper. 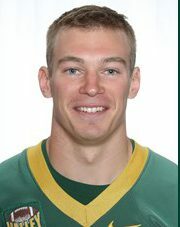 Easton Stick, QB, North Dakota State: Stick is my favorite of the three top FCS quarterback prospects that I have studied. Stick, besides having a great name, has elite accuracy and good touch. I noted very few missed passes while watching two of his games. He is not a deep passer but does show at least average arm strength. Stick needs to improve his pocket presence and better see and feel the pass rush. When he does scramble, which he does often, he is adept at keeping plays alive and is willing to take a hit. He is not very agile or quick and looks labored as a runner but he can rack up the yards (663 in 2017). Stick does not play in a high volume passing offense like the two FCS passers I profile below which could help or hurt his professional prospects depending on who you ask. 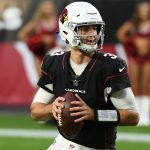 He completed a respectable 62.1% of his passes and finished near the top of the QBs on my watch list in terms of yards per attempt (9.3) and rating (169.5). Stick is 6’2″ and 220lbs which did not impact him against FCS defenses but it could turn into an issue at the NFL level if he continues with his reckless play style. The comparisons to Carson Wentz are inevitable but I caution armchair analysts to remember that Wentz was a superior athlete. Stick will get NFL Draft buzz and if I had to guess now, we’re looking at a Day 2 grade for him. Gage Gubrud, QB, Eastern Washington: Gubrud is a redshirt senior starting his third year eat EWU. He excelled in 2016 with two future NFL targets (Cooper Kupp and Kendrick Bourne) but saw his stats come back to earth in 2017. He was still productive though with 3,342 yards and 26 TDs. Gubrud has a strong arm but lacks accuracy. His strong arm means he often overthrows deep receivers. In fact, I did not note a single deep completion in my two game film study. He possesses good pocket presence and relishes the chance to improvise and scramble. Gubrud already proved he can lead EWU to success (12-2 in 2016) so let’s see if they can get back in championship contention. Devlin Hodges, QB, Samford: The Bulldogs have made it to the FCS Playoffs the last two years under starter Devlin Hodges. Unfortunately they have yet to win a playoff game after back-to-back first round exits. Hodges is a touch thrower with a strong arm and a wonky motion. His sidearm motion does not look natural to me and almost looks like he’s trying to shot put the football. The motion and his height (listed at 6’1″ but probably shorter) lead to batted balls at the line and numerous short passes landing in the dirt as he tries to get it over a defender. 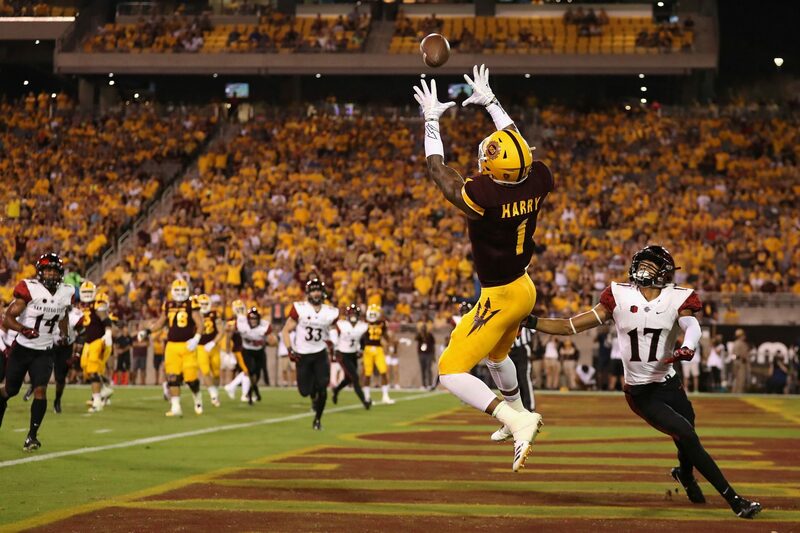 Despite those misses, Hodges does complete a high percentage of passes (65.7%). He threw for 3,983 yards in 2017 which is second to just McKenzie Milton on my 2019 watch list (albeit against FCS opponents). 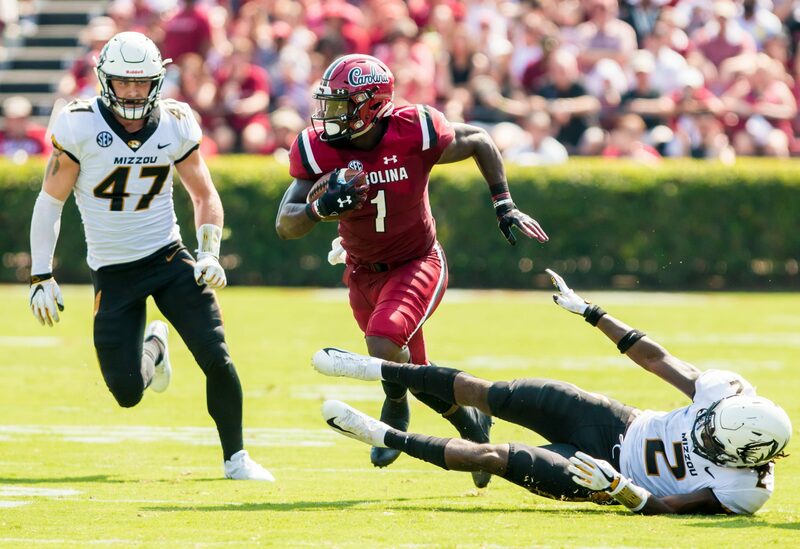 Hodges did have a very notable game against Georgia in 2017: 26-35, 227 yards, 2 TDs and 0 INTs. It was the kind of game that makes you think he could persevere and get a shot at the next level. He’s not a dynamic running threat but he does have good pocket mobility and throws well on the run. His height and motion will probably be disqualifying to NFL scouts but he’s interesting nonetheless as a fun college player. Marcus Jones, RB, Gannon: Gannon, you ask? It’s actually a small Division II school in Erie, PA. I’m not enough of a masochist to do a Division II preview so I figured I would add Jones here. 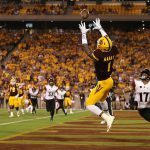 I came across him while researching some hidden NFL Draft prospects and was blown away by his 2017 stats and measureables. Sure, the stats can be minimized because of the competition but they are still eye-popping: 2,176 rushing yards, 8.1 yards per carry, 24 receptions, 288 receiving yards and 31 total TDs. 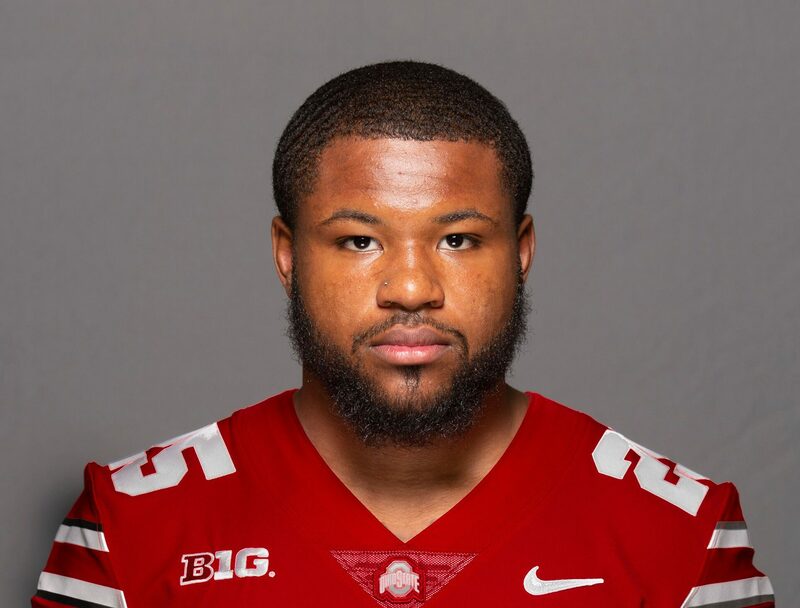 His size can’t be explained-away because he comes in at a near perfect running back size of 5’11” and 225lbs (think Nick Chubb). Film of Jones is predictably impossible to find but I was able to scrape together a few highlights. In those highlights I see a thick-bottomed back with a good stiff arm and the athleticism to hurdle a defender on his way to a run-away touchdown. I really hope I get to see more of this kid. 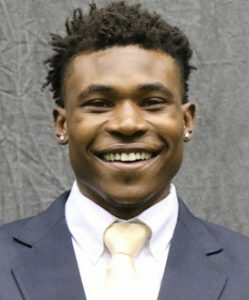 Bruce Anderson, RB, North Dakota State: I’m looking forward to watching more of Anderson but at this point there’s not much out there to watch except for a few FCS Playoff highlights. From the little I did see of him, he looks fast. He’s at least 4.50 fast but is probably a touch faster. He shows good balance and adds versatility as a kick returner. 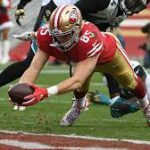 After watching his highlights, I was surprised to see he only had 8 receptions this season; since they all seemed to come in big moments, I’ll bet we see more of him as a pass catcher in 2018. Anderson only averaged 5.2 yards per carry which sounds like a lot to NFL fans but is below the 5.8 average of my watch list sample. 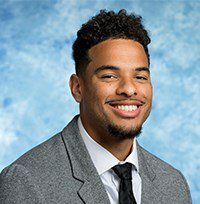 I include Anderson here because he plays for the reigning FCS champion and we’ll probably see a lot of him this year, especially if Easton Stick starts getting the spotlight. Dominick Bragalone, RB, Lehigh: Bragalone is another RB prospect who you’ll be hard pressed to find film on. I was able to find a number of highlight packages from the school that I could piece together to get a feel for his game. He’s squat, like a bowling ball, and runs strong. He is not fast, likely in the 4.60-4.65 range. He easily brushes off arm tackles and keeps his feet well. It appears that he’s at least above average when it comes to pass protection, if not better. He racked up the carries in 2017 (247) and averaged 5.6 yards per for a total of 1,388 yards. He had 22 total TDs too which is one of the highest totals in my sample. My opinion is that Bragalone will be used more like a FB in the NFL or as a situational short yardage back but could handle the starting load for short spells (maybe like Peyton Hillis?). Keelan Doss, WR, UC Davis: Keelan Doss is a name to remember. After my limited research, yet another FCS prospect with no game films out there, I think he could factor into fantasy drafts next season. Doss has good size at 6’3″ and 206lbs but lacks elite speed (4.55 at best). He uses that size well to dominate FCS corners. Doss shows good to elite hand and play strength. He is not afraid to go over the middle and is a bear in contested catch situations. He often snags the ball with solid hands and does not let the ball get into his body. 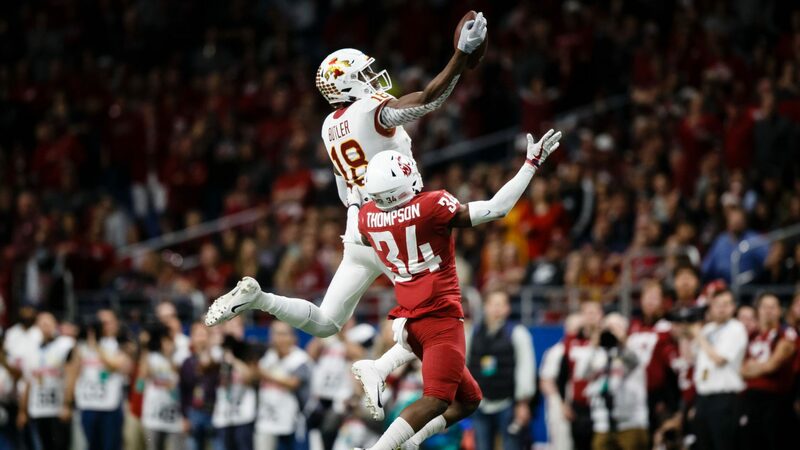 Doss put together the best 2017 stat line of all my watch list receivers: 115 receptions, 1,499 yards and 7 TDs. Of the fifty receivers on my list, he led them all in receptions and yards. I need to watch more of Doss to evaluate his route running and willingness to block but my gut tells me he could be special. 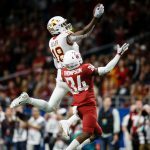 Emmanuel Butler, WR, Northern Arizona: Butler is the only player on this list who was a possibility for the 2018 NFL Draft. He missed most of 2017 due to a shoulder injury that resulted in surgery. If it weren’t for that injury he likely would have come out after the 2017 season. Instead he returns for his fifth season and gives us another look. Butler got the Matt Waldman treatment back in February before it was clear that Butler would return. In summary, Waldman likes what he sees so who am I to disagree? When I watch Butler I see somebody who uses his elite size (6’4″ and 220lbs) to go over and through smaller and weaker corners. He exhibits strong hands and has a few spectacular one-handed grabs on film. He is a motivated player who does not give up on the play. One play in specific comes to mind, it’s one that Waldman highlighted as well. Against Eastern Washington, Butler’s quarterback throws an interception on an end zone fade. After hitting the turf, Butler gets up and runs down the defender, likely saving six points. It’s the type of play that few players make so it stood out on the tape. It’ll be a close race between Doss and Butler to see who can be the top FCS receiving prospect this year. 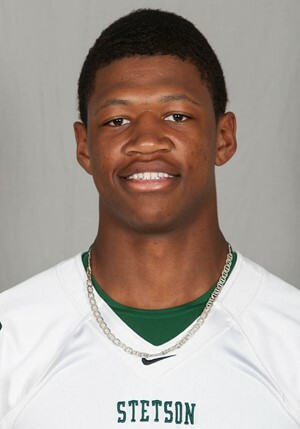 Donald Parham, TE, Stetson: Parham is Lanky with a capital L. He’s listed at 6’9″ and 235lbs. That makes him the tallest TE on my watch list but one of the lightest. He looks raw and uncoordinated as an athlete but as the cliche goes, “you can’t teach size.” In fact, Parham would be the tallest skill position player since at least 2000, when Pro-Football-Reference.com started tracking, if he managed a combine invite. I was only able to find a few short highlights so I can’t actually evaluate him as a player but we should all bookmark him just in case he is able to fill out his frame and continue his above average production. He missed games in both 2016 and 2017 but if you extrapolate his stats over a twelve game season he would finish with a 60-804-4 line.